Last week's contest asked you to name your favorite book. This week, I am asking about your favorite album of the year. 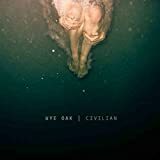 Over the year my favorite album of 2011 has fluctuated between tUnE-yArDs' w h o k i l l, St. Vincent's Strange Mercy, and Wye Oak's Civilian, but lately it is the Wye Oak disc that has been in rotation the most. To enter this week's contest, leave a comment with the name of the best album (new or old of any genre) you have heard this year. If you don't have one, feel free to state that. A $100 Threadless gift certificate (to buy music-related t-shirts like Music Box, Listening to My Song, Play It By Ear, and I Listen to Bands That Don't Even Exist Yet, and many more. The winner will be chosen randomly at midnight ET Friday evening (October 14th).